if one’s mind is not involved—as far as possible—in one’s liturgical participation, liturgy becomes only an empty shell, similar to the Christian propositions devoid of application that Smith so decries. It seems clear to me that worship needs to engage the whole person in order for the whole person to be swept up in the gospel’s redemptive subversion of the world and cultures we inhabit. And if human persons engage in a) thoughtful and rational reasoning and believing, b) visible and embodied postures and gestures, and c) passionate and affective feeling and emoting, then worship needs to explore the space of all three; put roughly – mind, body & emotions. I’ll describe them briefly, using titles that are normally used pejoratively, to signal that each emphasis really is negative when divorced from the other two. I also acknowledge stereotypes for each one, which of course always are there for some reason, but also always need to be critiqued. ‘Rationalistic’ worship perhaps finds a stereotype in the ‘new reformed’ movement. Whatever emotions or bodily postures that accompany this stream of worship, the obvious priority is on the rational affirmation of propositions, truths and doctrines. ‘Ritualistic’ worship perhaps finds a stereotype in the ‘liturgical’ tradition. Whatever theologies or emotional states that accompany this stream of worship, the visible priority is on the formational practice of postures, gestures, and historic rites. 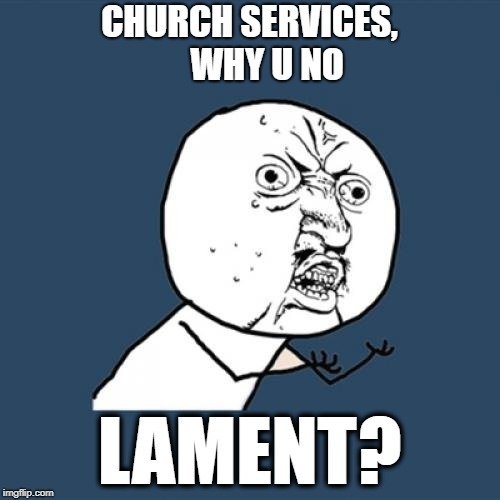 ‘Emotionalistic’ worship perhaps finds a stereotype in the ‘pentecostal’ tradition. Doctrinal allegiances and visible gestures will be present, but front and centre is a palpable, impossible to ignore focus on an authentic passion and heart for God. You may have already observed that various combinations of these exist. Some ‘pentecostal’ churches may have a ‘reformed’ vibe for example. But arguably a nice blend of all three may be quite rare. It makes me wonder if lurking behind our worship ‘preferences’ may be the reality that there are parts of us that we are more willing to be transformed than others. Lord, I am passionate for your holy truth, and I will show it by unashamedly sitting and standing for you in church. Lord, look on my beautiful liturgy and orthodox creedal confession, but please ignore my heart which is a private matter. Lord, I have award-winning passion and high hand-lifting, but please don’t make me describe what I’m passionate about with any degree of specificity. What might an integrated vision of worship look like in practice? Large amounts of scripture (Bible readings and biblical preaching) and regular usage of affirmations of faith and/or Creeds. Delicious moments (within a clear overarching structure) of emotion and intimacy, through such things as singing and prayer. A rich ‘sacramental’ practice, most of all Baptism and Eucharist, practiced to link with wider church history and tradition. Another way of talking about corporate worship is to say that it is worship that is enacted by the whole body – the catholic (universal) corpus (body). In an ultimate, truly catholic corporate worship is not possible until the Age to Come, when every tongue, tribe and nation expresses it. But Jesus’ prayer in John 17 expresses a desire for a kind of catholicity that we should continually strive for. I’m interested (and just might explore in my Masters Thesis?) in ways that we can express worship that re-unites the Corpus Christi. I guess that makes me an Ecumenical Baptist. But isn’t that what Jesus prays for in John 17? How can the Church worship across all the divides we have? Across Liturgical and ‘Free’ Church worship frameworks; Across ‘Catholic’, Orthodox and Protestant traditions; Across Episcopal and Congregational (and other) leadership approaches; Across the nasty, embittered Liberal and Conservative ditch; Across painful Charismatic/Pentecostal and Cessationist arguments; Across the separations that split ‘Dying Old Folks Churches’, ‘Family Churches’, ‘Arty-Farty Churches’ and ‘Young Hip Cool Churches’; Across the divisions within a single church that has separate services for Elderly, Families, Singles/Young-Adults, Youth, and Children; and more. There’s the infamous ‘hymns’ versus ‘choruses’ debate that still echoes around the church. But I think the new issue will be ‘liturgical’ v. ‘non-liturgical’ (or ‘free’?) debate. I just preached a sermon which discussed ‘worship’ and suggested that we (Baptists) may need to review our approach. I made reference to some ‘liturgical’ forms of worship and briefly sketched how and why those forms are meaningful and not just empty ‘rituals’ ((I find it annoying that the word ritual is often associated with meaninglessness.)). I was approached by two people after the service. The first, with glowing eyes and face, told me how much she loved what I was saying. The first words of the second person couldn’t have been more opposite: they suggested that if I wanted to be Anglican perhaps I should switch denominations. I stuck with the conversation and it got better. But I was reminded once again that when it comes to worship, be prepared for very strong opinions! Worship, huh! What is it good for?